Travellers to Cambodia are often in search of temples, monuments and monasteries. And so this mystical country may not be a destination that instantly springs to mind when you’re conjuring up ideas for your next beach holiday. It may be surprise, then, to hear that this is a place blessed with some of the most beautiful beaches in Asia! And what’s more, a beach break in Cambodia isn’t filled with the touristy crowds that a lot of South Asian beach resorts welcome – that is, if you know where to go. Enjoy the views, embrace the serenity and bask in the sun on some of the best hidden beaches in Cambodia. 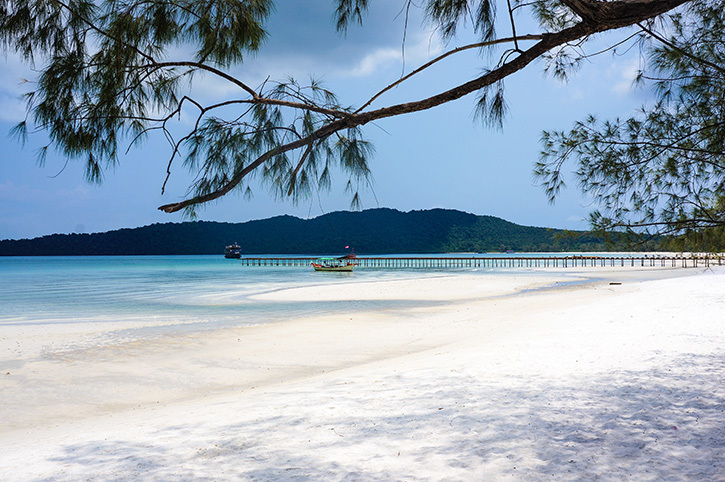 Koh Rong Saloem is the quieter little sister of Koh Rong, a well-established party island frequented by backpackers and tourists who are keen to let their hair down and dance the night away. But just a stone’s throw from this heady haven of late night raves and neon lights, is a much more tranquil gem. This picture perfect island is increasing in popularity, largely due to its incredible diving sites, but it’s still unspoiled and spectacularly beautiful. The west of the island is the place to be if you’re looking for beaches that look like a backdrop for glossy magazine shoots. The aptly-named Lazy Beach is an idyllic base for sedate days in the sun. Nearby Sunset and White beaches are also well worth a visit. 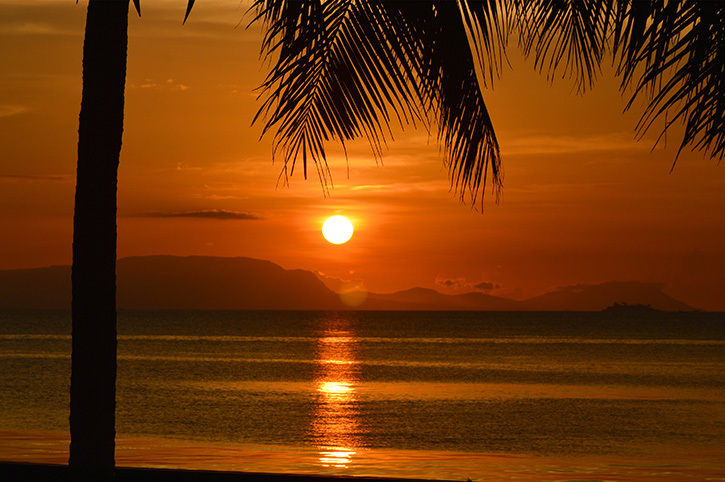 Koh Thmei is the perfect spot to escape it all and embrace the idea of living like a castaway. This island boasts just 200 residents and has a rustic charm that will ensure you fall head over heels the moment your feet touch down on the powdery white sand. Here, you can enjoy direct access to pristine beaches from the front door of a basic bamboo hut, you can spot turtles flipping around in the water and you can explore the wilds of Ream National Park whose wetlands boast a hugely diverse mixture of sea-front forests, coral reefs and local wildlife. If the idea of living without WiFi for a few days seems inconceivable, Kho Totang is perhaps not the ideal destination for you. This far-flung paradise is geared towards those who want to totally cut loose. Enjoy the natural beauty and simply switch off for a while. The water is blue-green, the sand is golden and there’s a gentle breeze that brings respite on a hot day. Located close to Ream National Park, the island of Koh Ta Kiev offers several beaches, the best of which is Coral Beach. This is a tranquil spot, but there’s also a host of activities available and access to amenities for those who don’t want to be marooned and totally cut off from the world. Swimming and snorkeling is popular here, and it’s also a spot where you can try your hand at spear fishing. If you’re feeling especially brave, this is also a popular spot for cliff jumping. Koh Tonsay translates as ‘Rabbit Island’ in English. This island is located close to the Vietnamese border and it is easily accessible from the charming resort of Kep. You can reach the island by boat in just 20 minutes. Once you get there, it is a stunning spot for sunbathing, but also a great choice for active travellers: on the walk inland from the coast, there are fantastic hiking trails with spectacular views. With a name like Serendipity Beach, you can’t go wrong. Fortunately, this breathtaking expanse of sand lives up to its name, and it’s a truly beautiful place to catch some rays, take a dip and discover the local sea life with a snorkel. Located in Sihanoukville, Serendipity Beach offers easy access to restaurants and al fresco bars, but it isn’t overcrowded or commercialised. The beach stretches two kilometres, so there’s plenty of space to lay down your towel and top up your tan without worrying about encroaching on others’ turf. When you’ve had enough of the sun – if this is at all possible – follow Serendipity Beach Road to grab a bite to eat, enjoy a refreshing drink or even hone your skills on the local putting greens. Beach breaks that offer the chance to get away from it all and take in some of the most spectacular scenery in the world aren’t confined to Vietnam and Thailand in South Asia. 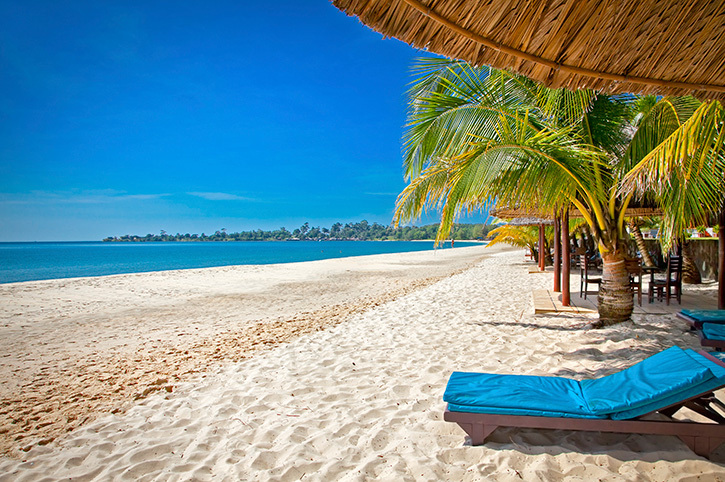 Make sure you include some of Cambodia’s stunning secluded beaches in your holiday to Asia.